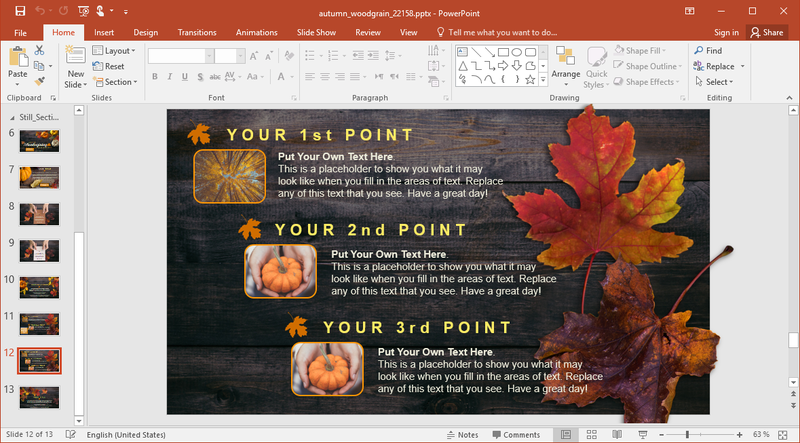 Over the years, we have covered a number of autumn and Thanksgiving themed presentation templates. We try to cover templates, which can offer a mix of visually stimulating imagery, as well as some nice animations to go along with placeholders. 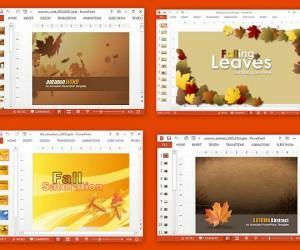 The Animated Autumn Woodgrain Thanksgiving PowerPoint Template is a Thanksgiving and fall themed presentation template which comes with vibrant pumpkin images, as well as some subtle animations. The template is divided into two sections. The first five slides are animated, whereas the rest of the eight come in static form. You can also mix and match the two as per need. 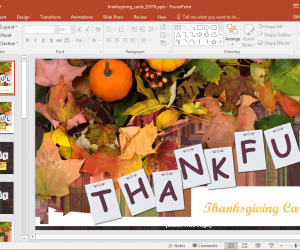 The slides provide images of autumn leaves, pumpkins, and rustic tables, representing the fall season and Thanksgiving. 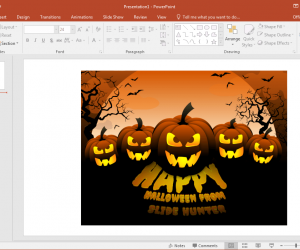 The template contains shades of various color tones in each slide to make them more eye-catching. The customization options this template offers are immense. 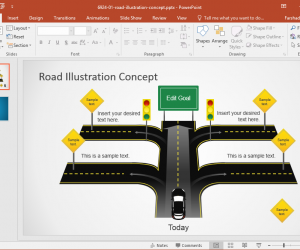 There are suggestions in different slides to help you understand how to replace sample images and text to create your own slides. 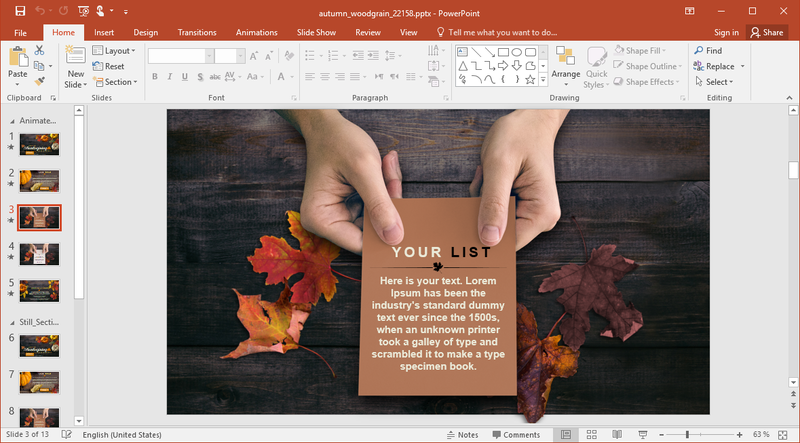 You can also customize individual slide elements by merely selecting them. 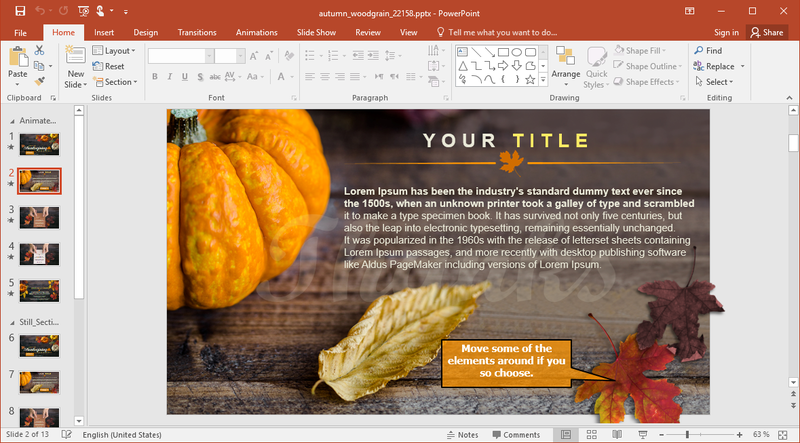 Even the autumn leaves in the template can be selected as individual objects and moved across the slide to customize the layout. 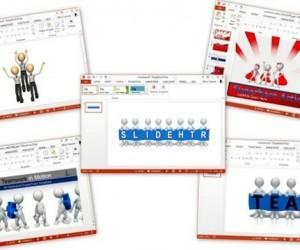 You can also copy such elements to create new slides. 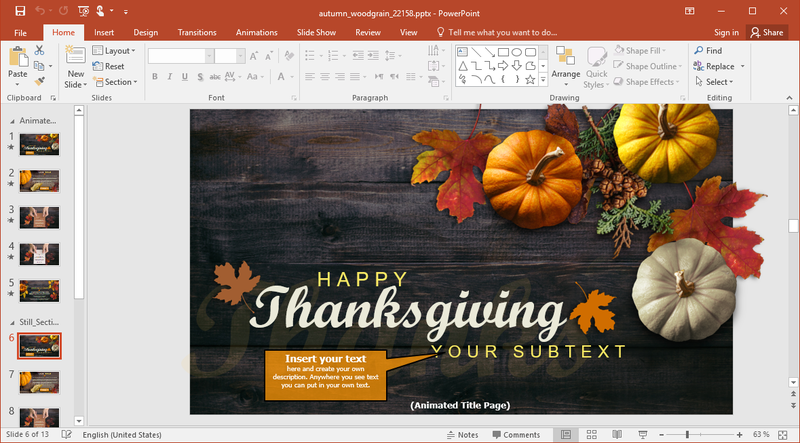 The template offers unique ways to present your slide content, including with the backdrop of a rustic table and colorful notes. 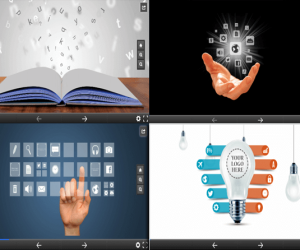 This can help keep your audience engaged, as you can make use of different types of unique backdrops to visually engage your audience. 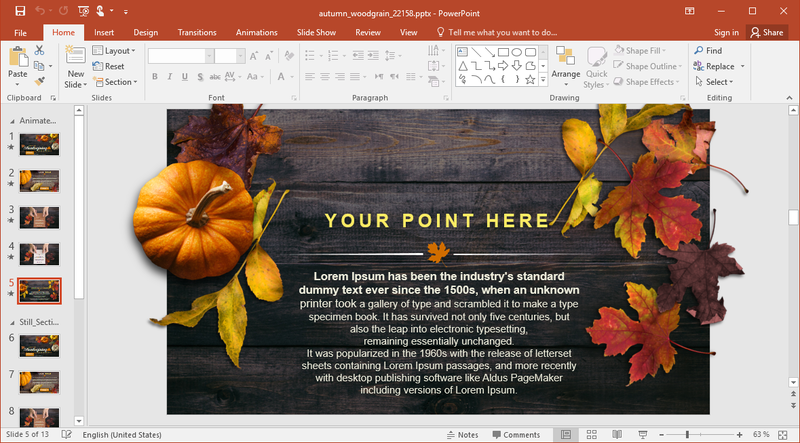 Some of the static slides in the template also provide layouts for making comparisons or to present multiple aspects of a topic in the same slide as different sections.